Call me what you like: a spicy junkie, capsaicin addict, or better yet a PepperHead®, but nothing beats the Habanero for its unlimited uses. 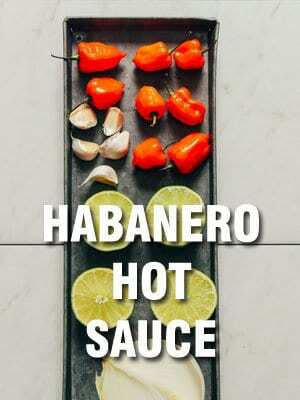 If you can stand the heat, the Habanero has amazing flavor and surprising health benefits. Join me in taking a journey through the origin, heat, flavor, nutrition, and uses of the ever-popular Habanero pepper. Habaneros are considered very hot to the general public, however, there are 100’s of peppers MUCH hotter in a category called super hots. Typical Habanero peppers range from 100,000 to 350,000 Scoville Heat Units (SHU) which is anywhere from 12 to 100 times hotter than a Jalapeno. Ghost peppers and Carolina Reaper peppers are off-the-charts hot at 1 million and 2.2 million scovilles respectively. Back in 1999, Guinness ranked the Habanero as world’s hottest pepper. This doesn’t mean hotter peppers didn’t already exist, they just weren’t known by the populous. Grocery store habaneros tend to be slightly less spicy than home grown peppers. Commercially grown habaneros are typically picked before the pods are completely ripe. Under-ripe peppers aren’t as spicy and will not increase in heat once plucked from the plant. Ever had a habanero from the grocery store with little to no heat? This is why. The ancestors of the habanero looked vastly different than the domesticated pepper you recognize today. The habanero originally started as a small wild chile pequin. After thousands of years of breeding and cultivating, the wild pepper has evolved into the blazing pepper you see in grocery stores today. The habanero pepper origins dates back as far as 8,500 years ago from the Brazilian Rainforest in South America. From here, the Mayans traveled up Central America to Mexico bringing their peppers with them. Habaneros are deeply ingrained in Mexican culture. Yucatan, Mexico is now the largest producer of Habaneros in the world, exporting to the United States, Europe and Asia. Yucatan’s unique soil composition, climate, and unrelenting sun make it the perfect location to grow these spicy peppers. These growing conditions make Habaneros from Yucatan vastly superior in flavor and heat than grown anywhere else. The Habanero also has origins in the Caribbean islands. The name Habanero means “from Habana” which is in reference to the Cuban city La Habana or known in the US as Havana, Cuba. In the 18th Century (1700’s) the Spanish were responsible for spreading these seeds all over the world with their network of trading, eventually reaching Europe, Africa and Asia. This is how the scientific name, Capsicum chinense, came to be. A Dutch botanist, Nikolaus Joseph von Jacquin, incorrectly named it after China because of its popularity in Chinese cooking. A cultivar is a variety of plant that has been created by selective breeding. Cultivars and selective breeding should not be confused with a genetically modified organism (GMO); the two are not the same. 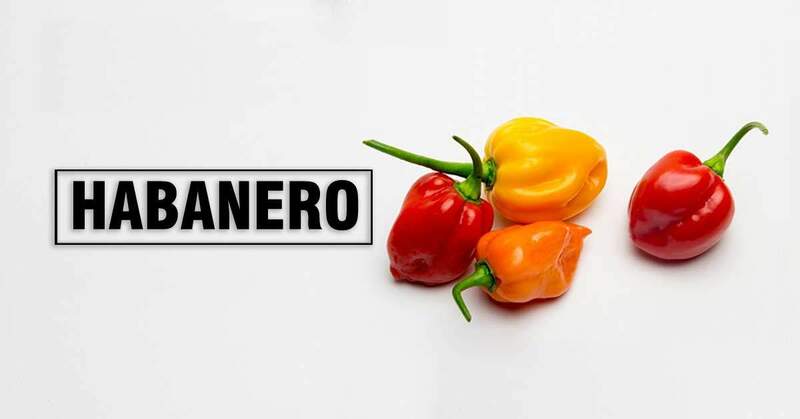 Nowadays, habaneros come in almost every color of the rainbow including orange, red, chocolate and even white! Personally, I’m kind of obsessed with every white pepper. White peppers have less heat but twice the flavor. Can’t get enough of them! These color variations come from intentional or accidental cross breeding of peppers. Growers collect the hot pepper seeds from the different colored fruit and the offspring will sometimes produce the same color pepper. After many generations of isolating the colors, a stable variety is created. Just as pepper enthusiasts bred habaneros for color, they have also bred for heat. The Red Savina Habanero is just that, HOT. The Red Savina is still the hottest habanero and held the title of World’s Hottest Pepper for many years. This variety was found in a patch of Caribbean Red Habanero peppers and stood out among the rest. The creator, Frank Garcia of GNS Spices, in Walnut, California explains that this plant was unique in that it had bigger, thicker, and hotter pods than any of his other plants. After years of selective breeding, he was able to register the cultivar as a Plant Variety Protection (PVP) which gave him the sole rights to grow and sell seeds of this variety. The PVP has since expired and demand has waned, but the Red Savina lives on in our garden as one of our favorite peppers ever. Habaneros are jam packed with Vitamin C.
Just one pepper has over 100% of your recommended daily Vitamin C intake with only 18 calories and zero grams of fat. Habaneros also have a high concentration of Potassium for their size. The only problem is eating enough of them. 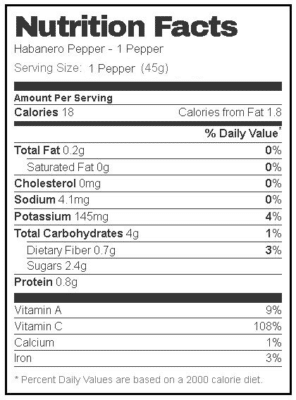 Even though you won’t get your total recommended Potassium intake with just a few peppers, it still makes a healthy addition to any meal. Habaneros contain a high concentration of capsaicin: the chemical compound that makes peppers spicy. This miracle chemical is a phytonutrient that shows great promise to prevent and treat many diseases. Capsaicin is a natural anti-inflammatory. The popularity in the US keeps rising as more people discover how great this utilitarian pepper really is. This chart shows a steady incline of google searches for the term “Habanero” over the last 14 years. Every year, more and more people are joining the underground world of spicy. In August and September, there is a huge spike in searches. I suspect this is because this is “in-season” for fresh Habaneros. Home gardeners are picking ripe pods from their plants and looking for more information and uses. Also around August, you will see prices drop for fresh habaneros and more stores carrying this seasonal crop. 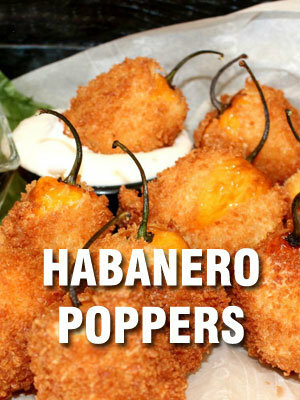 The flavor of Habaneros are unlike any other hot pepper. 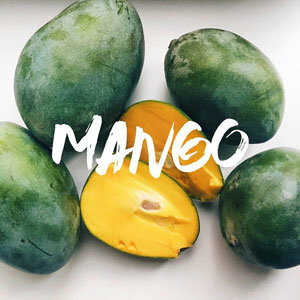 It is fruity, floral, sweet, crunchy, and bursting with pungency. The flavor is so unique that it is the reference point when comparing flavors of other peppers. 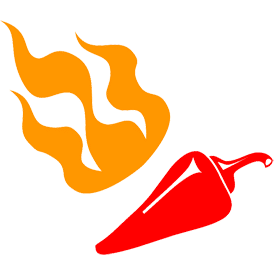 Two peppers have similar heat and flavor are the Fatalii and Scotch Bonnet. 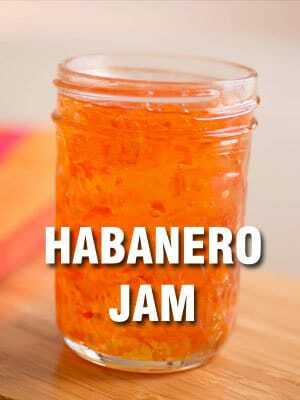 The Habanero can be used at varying stages of ripeness to give a dish different flavors. When picked green, it has a more earthy flavor with less heat. Late stage ripeness will have a more developed and sweeter flavor. When eaten alone, the burn can be described as forward and aggressive that fades quickly. Heat when cooked into dishes isn’t quite as hostile. 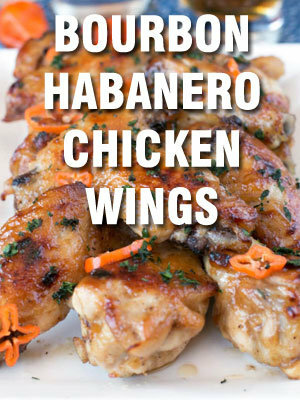 Habaneros pair great with sweet dishes and give it that sweet-heat goodness. 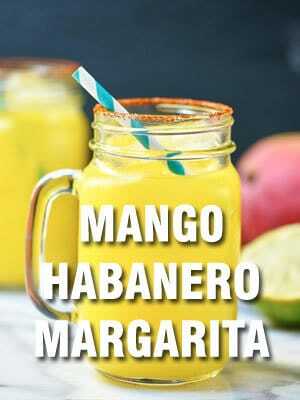 Many recipes include mangos and habaneros together as you can see in the recipes below. 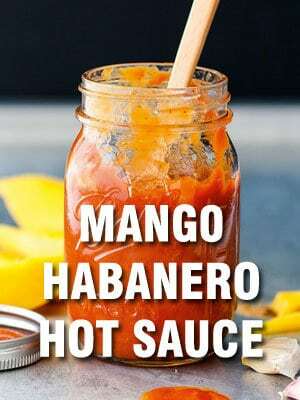 The sugar content in the mango mellows the searing heat in the habaneros. Habaneros are a stable in almost every spicy lovers diet including mine. The heat and flavor pairs well with almost every dish. 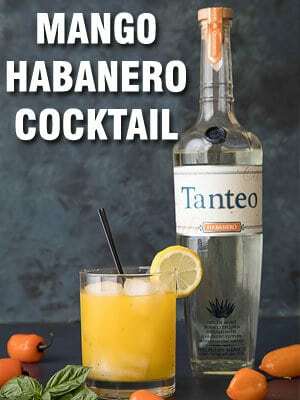 These are some of my favorite habanero recipes from around the web. Recipes are from Mike Hultquist’s amazing spicy blog Chili Pepper Madness, Trevor and Jennifer’s blog Show me the Yummy and many more. Habaneros are one of the easier hot pepper plants to grow. Plants typically reach 4 feet tall (122 cm) and produce 30-40 fruits at a time. Given enough nutrients and fertilizer these plants produce all season long. One plant can produce more peppers than a single family can consume. Growing Habaneros is fun! Share your harvests with friends and family. You can grow your own habanero plants with our seeds and following our ultimate guide to growing hot peppers. Seed germination is standard and need a warm and moist environment. Established habanero plants need full sun. Sun provides vital nutrients for fruit production. The more light, the more fruit the plant can produce. Like most peppers, habaneros require slightly acidic soil that drains well. “wet feet” equals rotten roots and a host of other issues. This depends on your growing environment. They don’t need an excessive amount of water. Only water when needed. Water just before the leaves start to wilt. Organic or chemical fertilizers work well on habaneros. They need plenty of Calcium and Magnesium. Are habaneros and scotch bonnets the same? No, they are slightly different peppers that have similar heat and flavors. Both have a fruity flavor, but scotch bonnets are slightly sweeter. 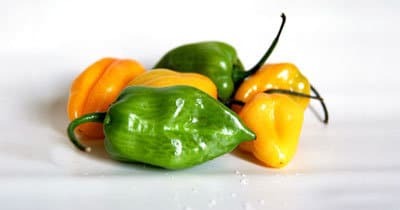 Scotch Bonnets are used more in Caribbean cooking like Jerk Chicken. Can habanero peppers burn your skin? Yes, the oils inside a habanero contains capsaicin which irritates the skin and causes a burning sensation. If you get the oils on your skin wash off with soap and warm water. I highly recommend using latex gloves when preparing Habaneros. Your hands have tougher skin than everywhere else on your body. You might not notice the burning on your hands until it’s too late. The oils can spread without you knowing. Once the oils are on your hands it can spread to other body parts you touch. I warned you! The burning sensation can last hours if not washed off immediately. Learn something about the Habanero? Share it along! Let me know in the comments your favorite use for the Habanero. 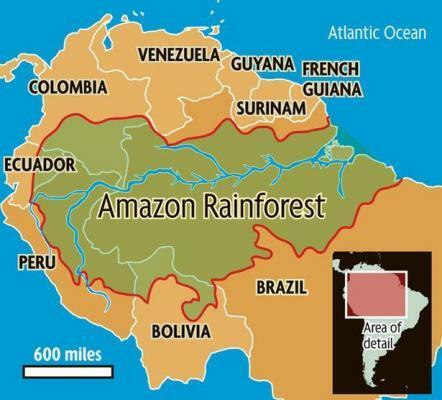 This entry was posted in Educational and tagged Habanero.